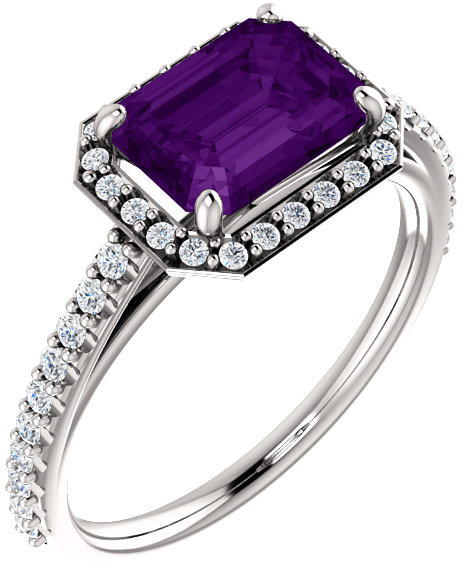 A large 8x6mm emerald-cut amethyst and diamond engagement ring crafted in your choice of 14k or 18k white gold or platinum. The purple amethyst gemstone ring is set with 42 white diamonds weighing a total of 0.32 carats in quality G-H Color, I1 Clarity. 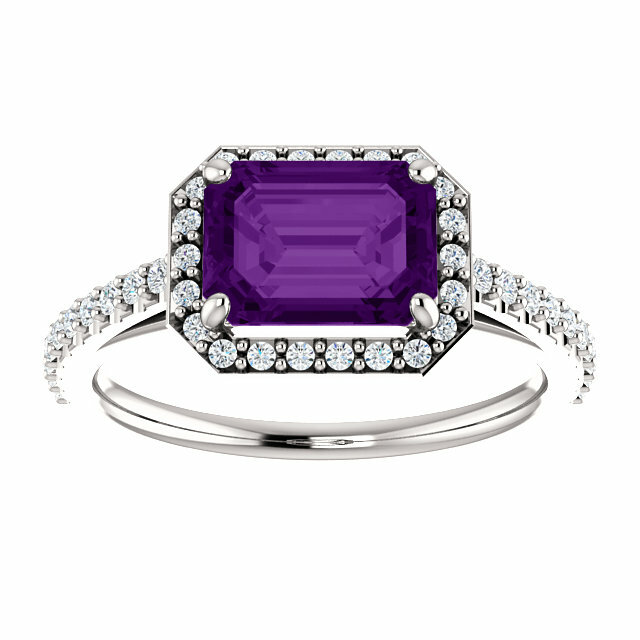 Wear this purple beauty as either an amethyst engagement ring or a stand-alone amethyst and diamond ring. Either way, it'll look breathtaking on your finger! The ring measures 1.7mm and the setting height is 6.35mm tall. Would you like this ring in a different gemstone not shown? Simply contact us for customizations! We guarantee our 8x6mm Emerald-Cut Amethyst and Diamond Engagement Ring to be high quality, authentic jewelry, as described above.